Could Your Health Insurance Be Costing You Money at the Pharmacy? MAGNOLIA, TEXAS — In February, Dave Jensen, a 46-year-old firefighter from Phoenix, got an antibiotic prescription from his usual pharmacy through his Cigna health insurance. When he got home and told his wife he'd paid $71 for a 15-day supply of Doxycycline, she thought the price sounded high. Later the couple realized Dave had been charged double what he would have paid if he hadn't used his insurance. "I realized I'd been taken advantage of," Jensen said. Like many Americans, Jensen was charged a copay that was actually more expensive than the pharmacy's cash price for his prescription. 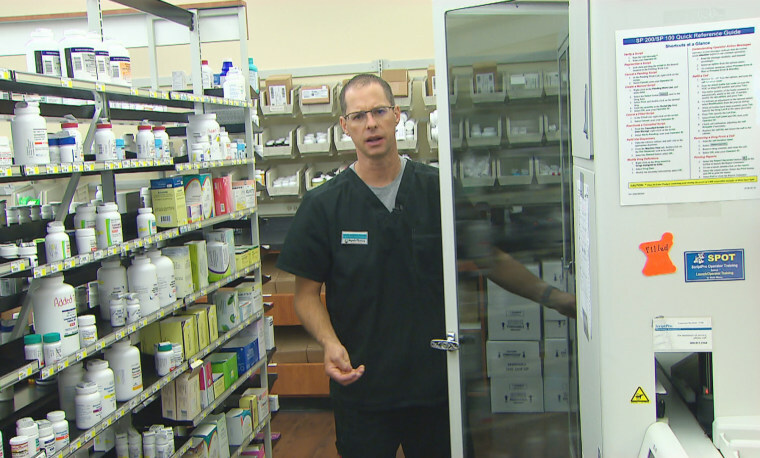 One reason, pharmacists say, is because of something known as a "clawback." A middleman called a pharmacy benefit manager handles the prescription drug part of your health insurance plan on behalf of your insurer. For patients on certain insurance plans buying certain generic drugs, the benefit manager may charge a copay that exceeds a drug's cash price. When the benefit manager charges that higher price, and then pockets a portion of the copay — that's a clawback. Because of clawbacks, many Americans are paying extra for some of the most commonly prescribed drugs in the country, pharmacists and other experts say. Consumers rarely hear about clawbacks, pharmacists around the country told NBC News, because of so-called "gag clauses" in their contracts that they say often prevent them from discussing the practice with customers or from volunteering lower-cost options. "Part of the contracts we sign with the pharmacy benefit managers prohibit us from being able to share information that possibly a medication would be less expensive [if the customer paid] cash," explained Steve Hoffart, a pharmacist in the small town of Magnolia, Texas. "As a pharmacist, I'm here to take care of patients," said Hoffart. "It's extremely hard to see the patients paying more than what they really should be." "It's Making Pharmacists Look Bad"
For many customers, especially those with high-deductible insurance plans, these clawbacks can be costly. The NBC News investigation, which included a review of internal pharmacy records, found it happens on a wide variety of generic drugs. At Hoffart's pharmacy, for example, one customer had a copay of $43 for the cholesterol drug Simvastatin. Hoffart's price for customers paying without insurance? $19. Another customer had a copay of $58 for the anti-depressant Bupropion. Hoffart's cash price? $33. A different pharmacist shared the example of a customer whose copay was $129 for the anti-nausea drug Ondansetron. The pharmacist told us his cash price for that drug is $18. At a third pharmacy, there was a $117 difference between the copay and the cash price for the allergy and asthma prevention drug Montelukast. The clawbacks are typically taken on generic drugs and affect a wide range of medications. "It's common drugs to treat diabetes, blood pressure, cholesterol and depression and anxiety," said Hoffart. Sometimes, the clawbacks are even bigger than the difference between the copay and the cash price, meaning they cost the pharmacist money as well. Doug Hoey, CEO of the National Community Pharmacists Association, which represents 22,000 independently owned pharmacies, said the practice of "copay clawbacks" is a relatively new one. "It can be tracked to the growth of high-deductible health plans where more of the cost burden is shifted to the consumer. Pharmacists have been put in a position to collect these inflated copays against their will." Last year, a survey conducted by Hoey's group found that 83 percent of 640 pharmacists witnessed at least 10 copay clawbacks in the previous month. Of those who said they'd witnessed 10 clawbacks, 59 percent said they encountered 10 or more gag clause restrictions during that same period. Hoey points out that copay clawbacks don't happen on all plans, or even all of those with high deductibles. The pattern, he says, seems to occur most frequently with the nation's third-biggest pharmacy benefit manager — OptumRx, which serves more than 20 percent of the market. The nation's two largest pharmacy benefit managers, Express Scripts and CVS Caremark, said they do not engage in the practice. CVS also said its pharmacists "are not prohibited from discussing with patients various options that are available to lower their out-of-pocket costs." OptumRx is currently the subject of two proposed class-action lawsuits. "Consumers buy health insurance in order to pay less than the actual cost of health care, not more," said Craig Raabe, one of the attorneys representing plaintiffs in both lawsuits. "Insurance companies and their pharmacy benefit managers are making consumers pay copayments that are more than the actual cost of the medicine. The insurance companies and the pharmacy benefit managers secretly take that difference, rather than pass the savings on to consumers," Raabe said. The plaintiffs suing OptumRx claim the pharmacy benefit manager took part in a "clawback scheme" to deceptively inflate prescription copays, but OptumRx has argued that it actually drives down drug costs. In a statement to NBC News, OptumRx said "Our role is to improve prescription drug access and affordability for the people we serve by negotiating aggressively with pharmacies and pharmaceutical manufacturers. When filling prescriptions, pharmacies should always charge OptumRx members the lowest amount available under their health plans." OptumRx declined to give an on-the-record comment about the allegations that its contracts prohibit pharmacists from telling customers when a copay is more expensive than a drug's cash price. Some states are taking action. Hoffart, who has owned his Houston-area pharmacy for almost 15 years, testified before the Texas legislature earlier this year, saying he felt like "an unwilling accomplice to deliver profiteering, basically taking advantage of the patients." "Pharmacists are one of the most trusted professions," he told NBC News, "and it's making pharmacists and pharmacies look bad charging more than we should." Hoffart added up how much money he and his customers have lost to clawbacks so far in 2017 and found more than a thousand clawbacks totaling more than $7,000, he said. "That's money collected from patients and then given back to the pharmacy benefit managers," he explained. In September, Texas became one of 11 states to outlaw clawbacks or gag clauses for pharmacists. The new Texas law says that health insurance plans can't require members to pay more for a drug than they would if they paid without insurance. "That's $7,000 that the patients in my pharmacy are giving back to the pharmacy benefit manager that they could use for other things—for other medications, for other needs that they have," said Hoffart. "So I hope that bill does what it does in terms of Texas and preventing clawbacks for our patients." "What surprised me most was the brazenness of the practice. To think that they could get away with something that was so obviously price gouging," said Martin Looney, a Connecticut state senator. Looney, a New Haven Democrat who serves as president pro tempore of the senate, co-sponsored his state's bipartisan bill outlawing clawbacks and gag clauses after he read about the issue in a Bloomberg News article. "This is a model statute that the rest of the country should be looking at," Looney said. The Texas and Connecticut laws seek to protect people like Dave Jensen who argue that consumers' lack of information is unjust. "As a consumer, do I have to be a drug expert?" Jensen asked. Looney's bill became law in Connecticut on Oct. 1, but at the federal level, similar legislation introduced by Rep. Doug Collins (R-Ga.) and Rep. Dave Loebsack (D-Iowa) in March hasn't moved out of committee. Some of the pharmacists NBC News spoke to say their contracts with pharmacy benefit managers prevent them from volunteering information about drug prices, but if a customer specifically asks for a lower price option, most say they can provide it. "When a patient comes into a pharmacy to get a prescription filled," Hoffart advised, "ask the pharmacist, 'Is that the best price for that medication? Is this the least expensive medication that's out there? What other options do I have other than my insurance that may reduce my costs?'" Dave Jensen, meanwhile, says knowing what questions to ask his pharmacists has made him "a better consumer." If you've found a difference in your drug prices by paying without insurance or shopping around, we'd like to hear about it. Please share your story with us by clicking here. 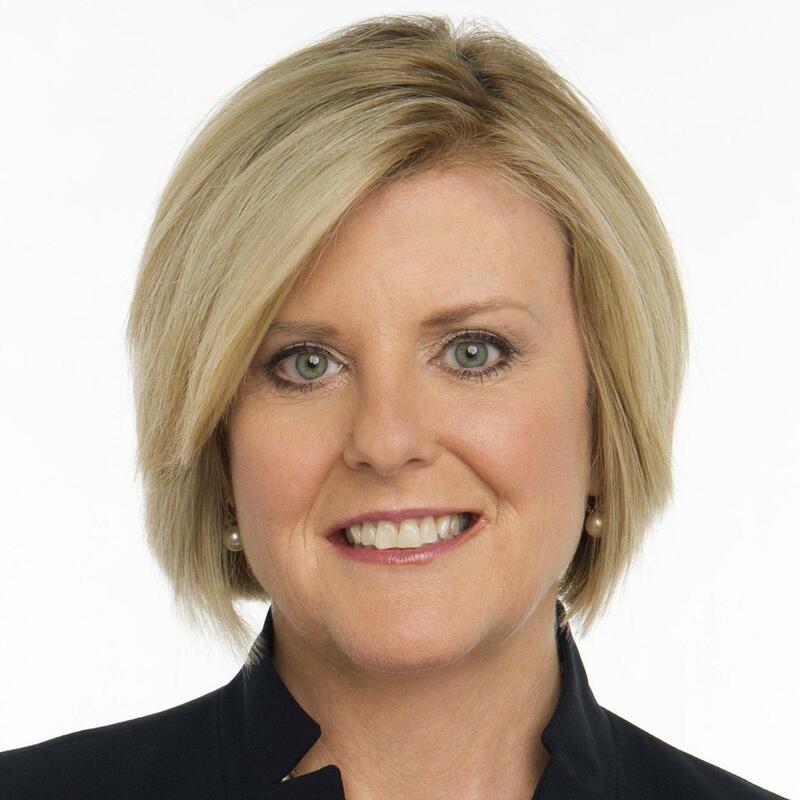 Anne Thompson is NBC News’ chief environmental affairs correspondent.